Until her accident, Esther, right, served as the head of a local school but was struck by a car and lost both legs. Gracie Rosenberger, left, co-founder of Standing With Hope spent time with Esther after our prosthetic team cast her to prepare the molds to make her legs. When Gracie Rosenberger was 17 years old, she was in a terrible car accident that shattered a large percentage of the bones in her body. Multiple amputations, 80 surgeries, and 35 years later, she has spent a lifetime working to recover from that tragic accident. In lieu of spending her time feeling sorry for herself, she prefers to spend time helping others who are experiencing challenges similar to her own. Though Gracie is a strong woman, Gracie’s husband Peter is always there to offer his support. He has been her caregiver since their marriage 32 years ago – and he is the co-founder of their non-profit simply called Standing With Hope. Their shared mission is to help others “stand with hope.” How do they accomplish this? Standing With Hope has two program areas: a family caregiver outreach and a prosthetic limb ministry to help others an ocean away. 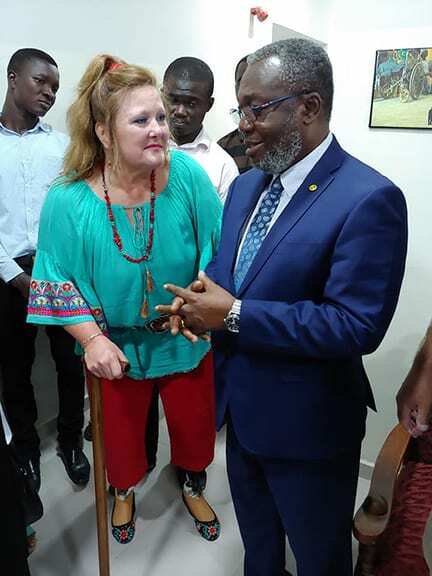 Through Standing with Hope’s prosthetic limb program, the Rosenbergers regularly work with Ghana Health Service in the Republic of Ghana. 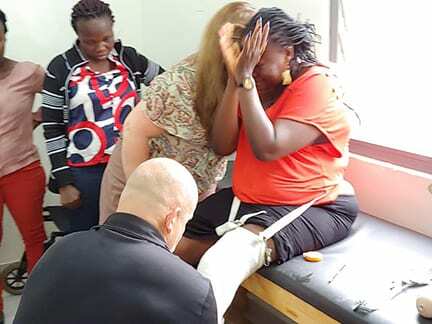 Recruiting volunteer US prosthetists and gathering and purchasing supplies, Standing With Hope trains and equips local workers to help build quality prosthetic limbs for their own people. 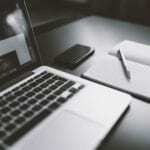 This is a huge undertaking but the results are well worth all the work. “When you see the looks on their faces, you know this is the right thing,” says Peter. This ministry is strenuous for Gracie, and she’s not been able to visit Ghana in eight years due to surgeries and setbacks. But once again, she is back on her own two prosthetic feet, and she is happy to return to Ghana with her team in August 2018. 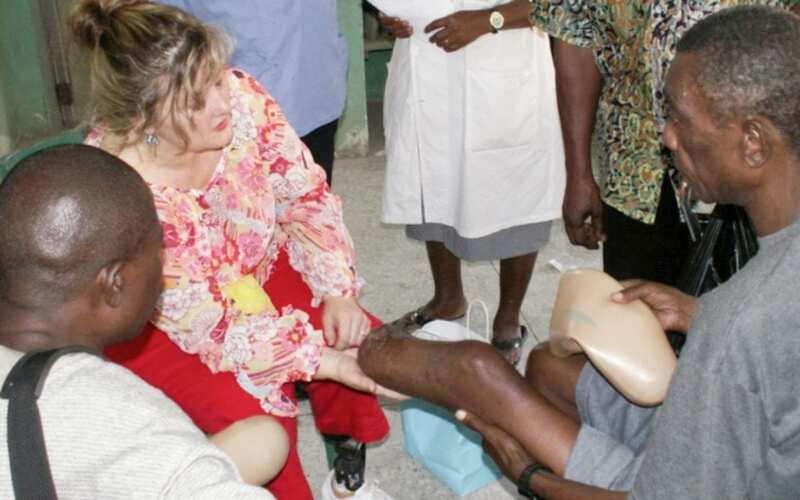 The overseas prosthetic limb outreach has local ties as well. Through a unique partnership, inmates at a local correctional facility administered by Green Hills based Core Civic, volunteer to disassemble used prosthetic limbs collected around the country. “While the socket of a prosthetic limb is custom made for the patient, the adapters, connecters, feet, pylons, knee units, and even screws can be recyclable.” Peter shares. For seven years, inmates have helped recycle these valuable components which are then shipped free of charge to Ghana Health Service. The Rosenberger’s mission has also inspired other celebrities and well-known individuals. Legendary Contemporary Christian artist Amy Grant and Joe Bonsall of the Oakridge Boys have both endorsed Peter’s book “Hope for the Caregiver.” Fellow decades-long caregiver Ken Tada wrote the foreword that draws upon his 30 years of caring for his wife and well-known speaker and author Joni Eareckson Tada through her journey of quadriplegia. The moment you realize you’ll walk again after losing your leg. 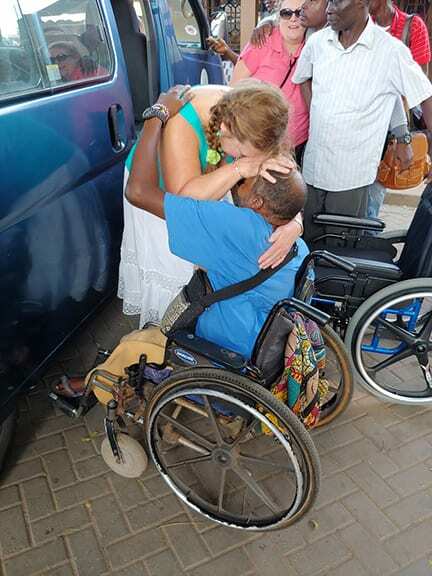 Gracie, left, with Abraham in Ghana - talking with him about fitting his prosthetic limb. 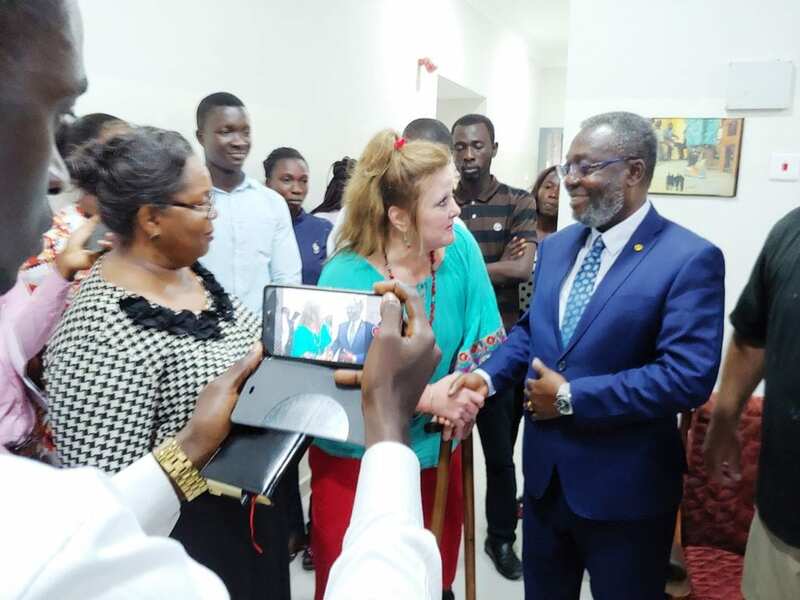 Gracie Rosenberger, left, co-founder of Standing With Hope, with Dr. Anthony Nsiah-Asare, Director General of Ghana Health Service. 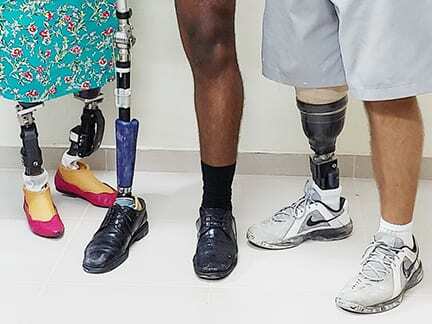 Many young people are also in need of prosthetic limbs. This is a fulfilling result of the Standing For Hope program. Standing With Hope is an ongoing dream and mission - but today... our mission is complete.